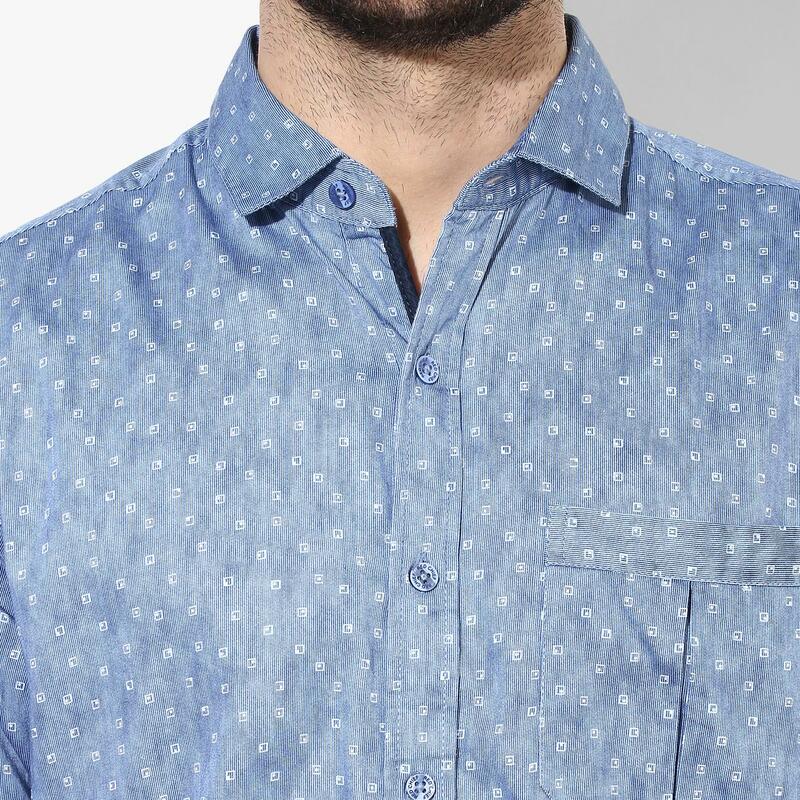 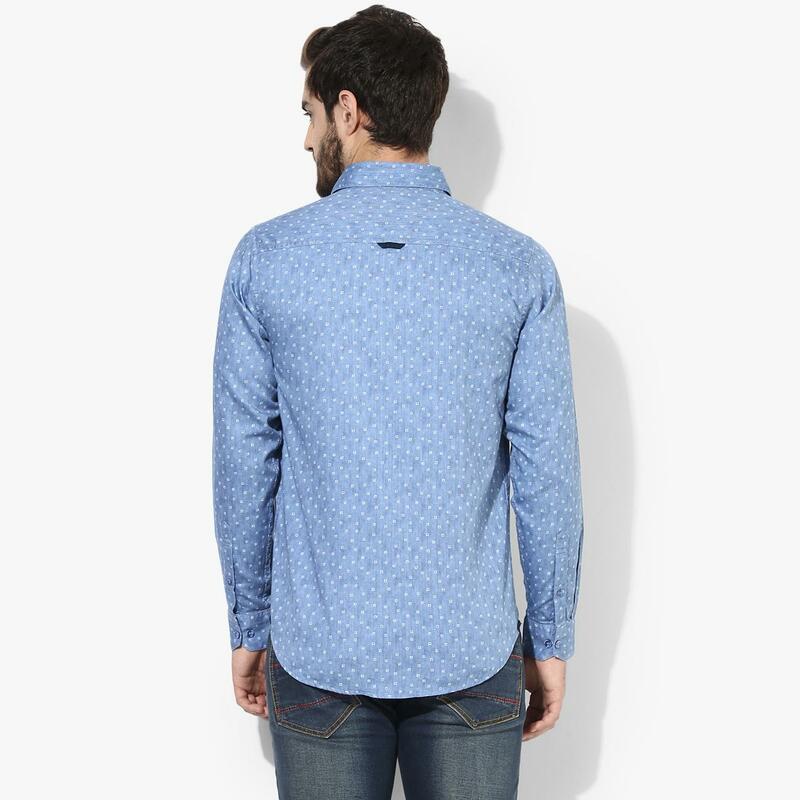 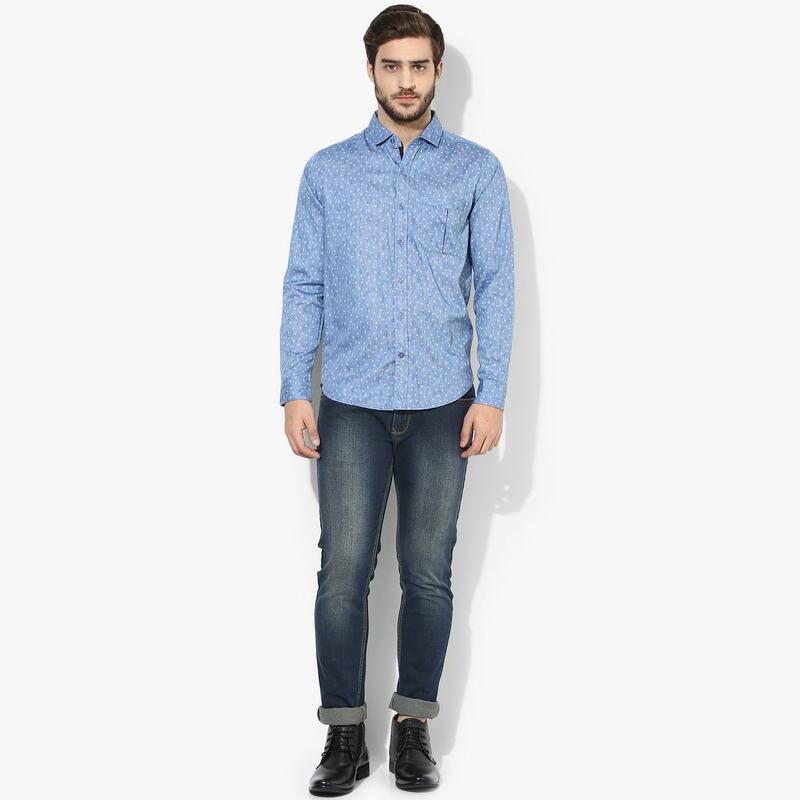 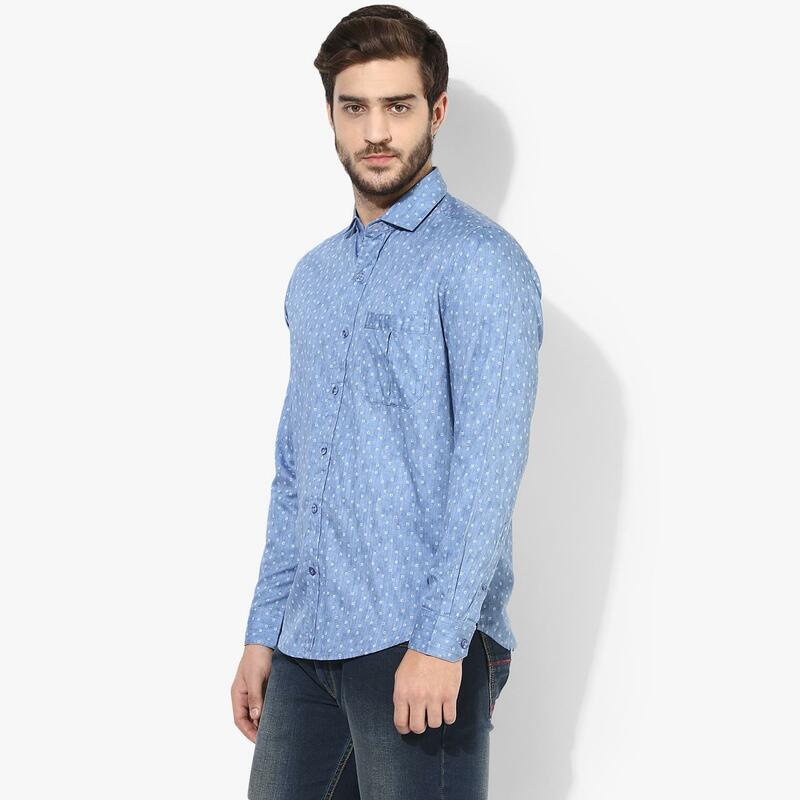 This Sky Blue denim men's casual shirt from Red Chief will make you a trendsetter among the fashion glitterati. 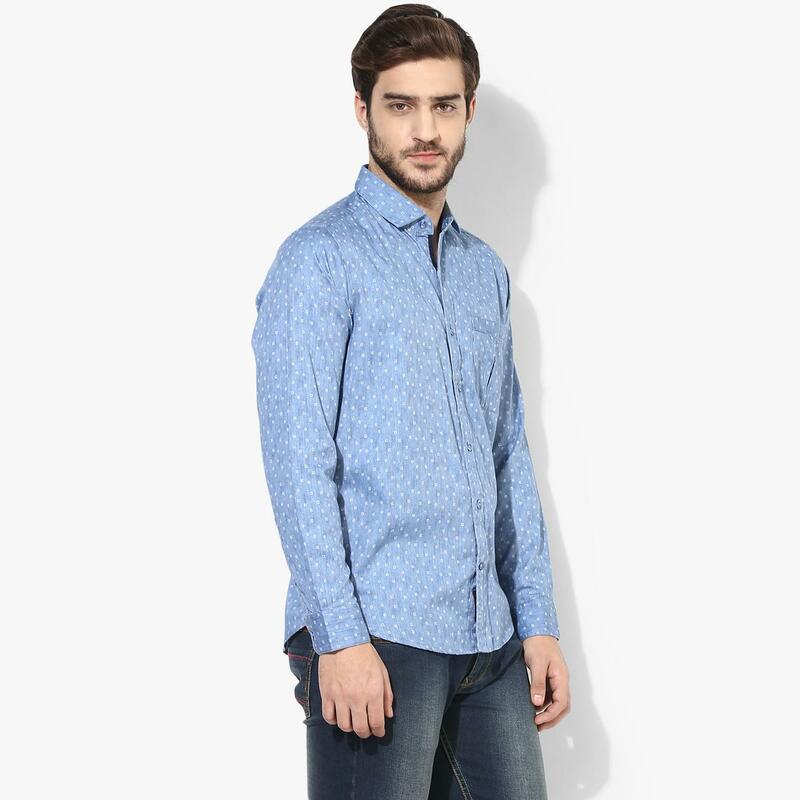 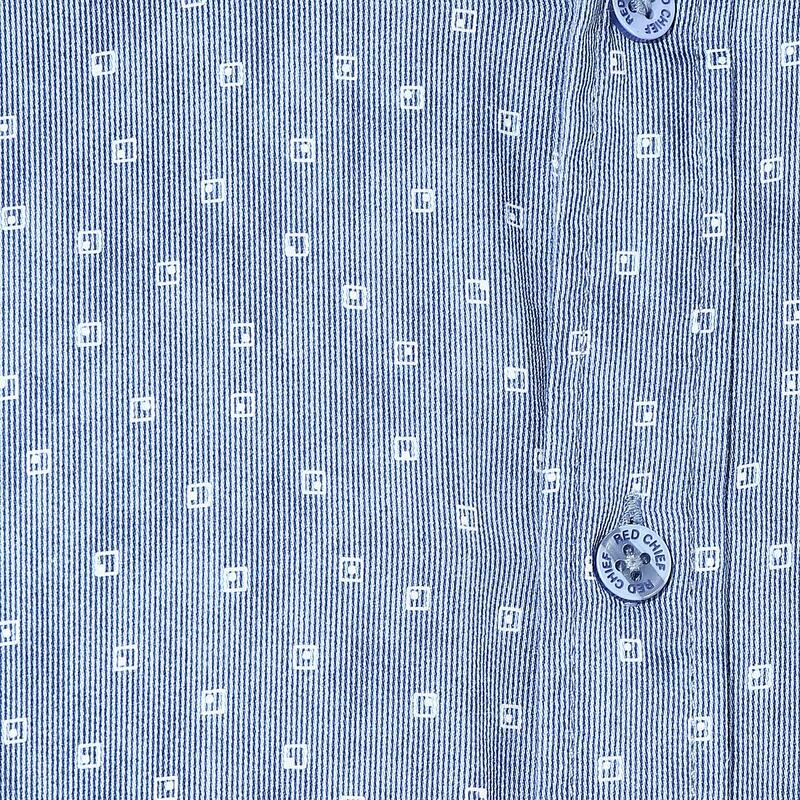 The 100% cotton printed denim fabric with the Spread collar and full sleeves becomes a style essential in your men's casual shirt collection. 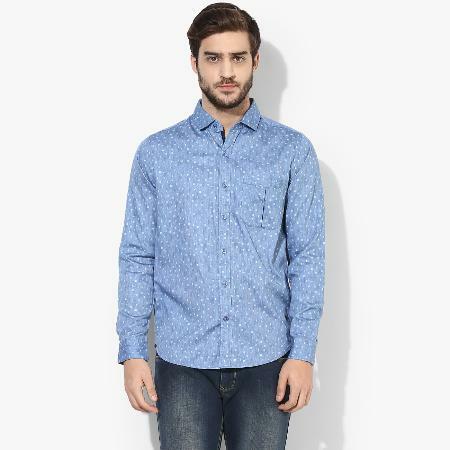 Team this with beige chinos and loafers to complete the look.